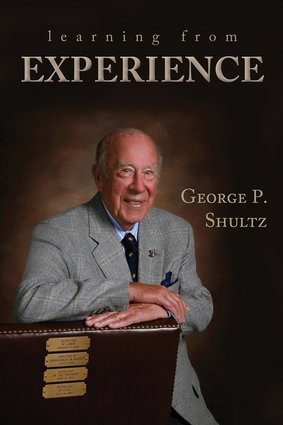 George P. Shultz recounts a lifetime of experiences in government, business, and academia and describes how those experiences have shaped the way he thinks about the world. In his plainspoken manner, he provides the reader with keys to understanding how he helped bring the nuclear disarmament movement into the mainstream of American policy discussions, why he urges his Republican Party colleagues to adopt measures to address climate change as an insurance policy for the future, why leaders must learn to govern over diversity, and more. Far more than a simple biography, Learning from Experience makes a unique contribution to political, social, and economic thought, offering the author's reflections on experiences that have influenced his worldview. Ranging far beyond the realm of diplomacy, Shultz's account illuminates America's race relations, defines a down-to-earth economic philosophy built on free markets and fair treatment of labor, and identifies the strengths and weaknesses of presidential leadership as observed during his government service, including four cabinet posts, in the Eisenhower, Nixon, and Reagan administrations. George P. Shultz has had a distinguished career in government, in academia, and in the world of business. He is one of two individuals who have held four different federal cabinet posts; he has also taught at three of this country's great universities. In 1989 he was awarded the Presidential Medal of Freedom, the nation's highest civilian honor.